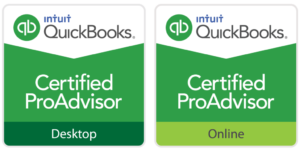 We are certified QuickBooks advisors. We assist from planning your system, implementation, training to answering quick questions for the proficient user. We provide free YouTube Trainings and will connect to your computer remotely to help you with complex issues. Our team has a history of success in resolving your complex business challenges. It’s never too late or too early to get your books on track. No problem is too large or small for our expert advisors. We also support, Sage and Microsoft accounting applications.